Jerusalem (AFP) - Israeli coalition leaders agreed Monday to hold early elections in April, seven months before they are due, a statement issued on their behalf said. 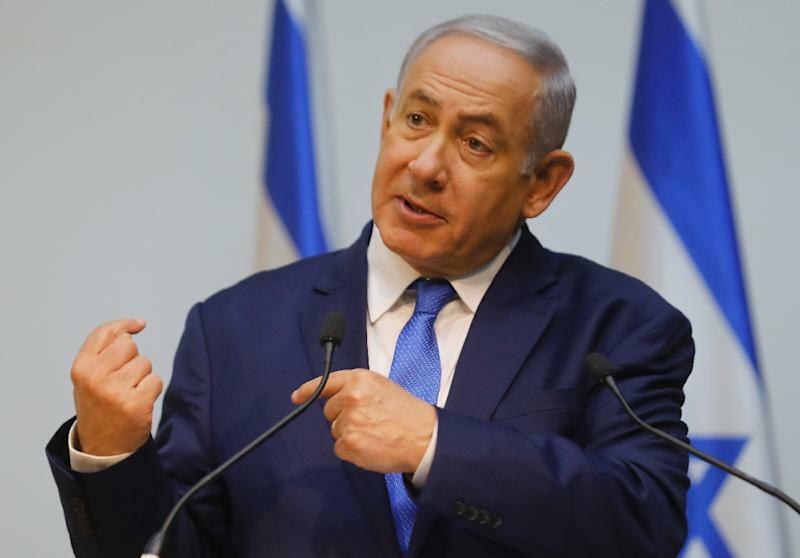 Coalition party heads in Prime Minister Benjamin Netanyahu's government have decided to dissolve parliament and hold elections in early April "in the name of budgetary and national responsibility," the statement distributed by a spokesman for Netanyahu's Likud party said. His resignation removed his Yisrael Beitenu party's five seats from the coalition. Netanyahu is also facing mounting pressure over a series of corruption investigations into his affairs. Police have recommended his indictment in three different probes and the attorney general is considering how to proceed. Netanyahu is however not required to step down if indicted, and polls have indicated his Likud party would remain the largest in parliament after new elections. Some analysts believe he would be better positioned to face potential charges with a fresh electoral mandate.